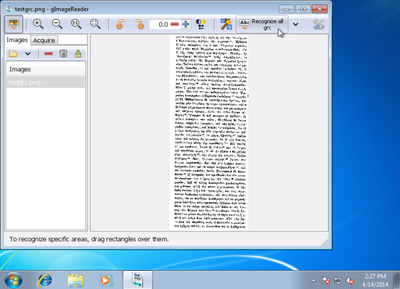 Ancient Greek OCR is easiest to use on Windows with the free software gImageReader application. 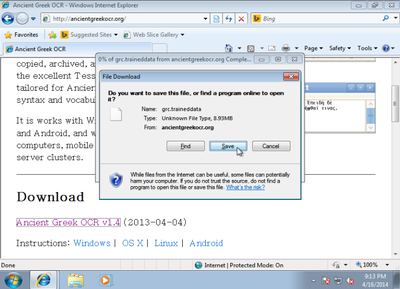 Below are step by step instructions to install and set it up, and use it, for Ancient Greek OCR. 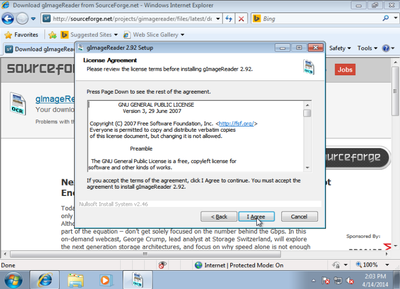 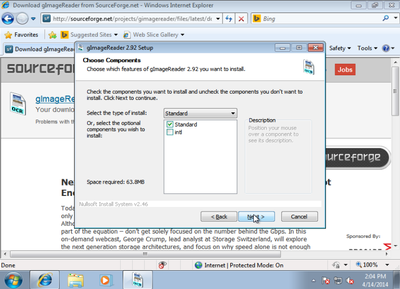 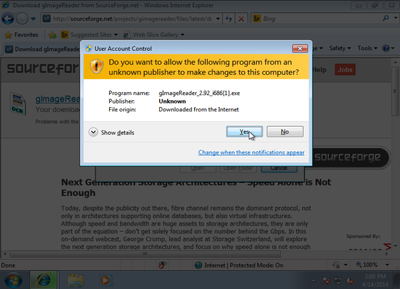 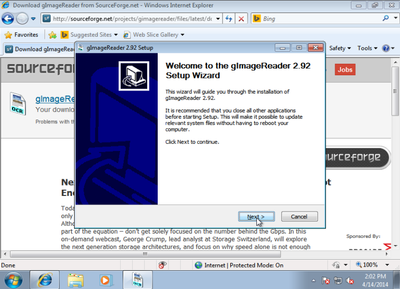 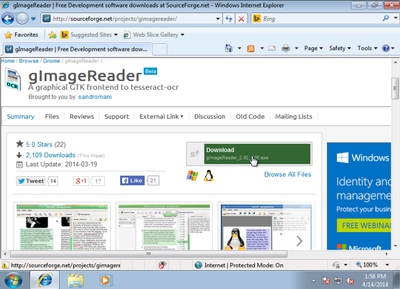 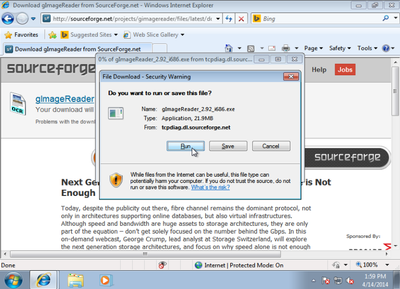 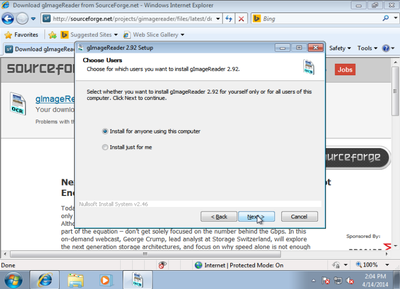 Download gImageReader from the gImageReader website, and run the install program. 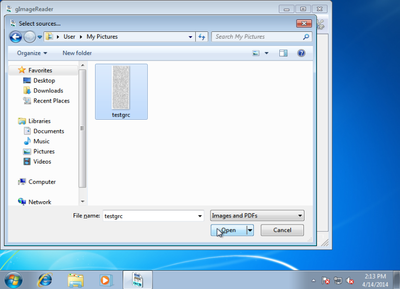 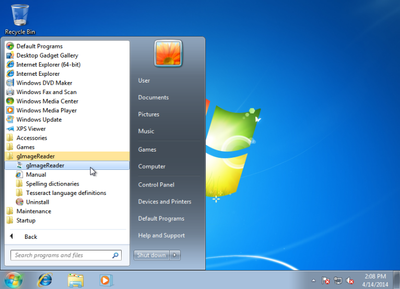 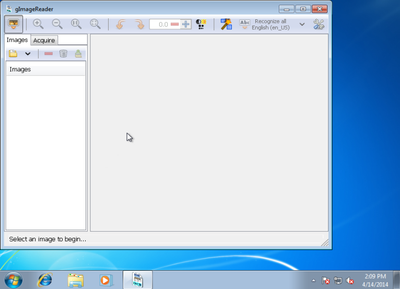 Install the program, choosing all of the default options (or changing them if you like). 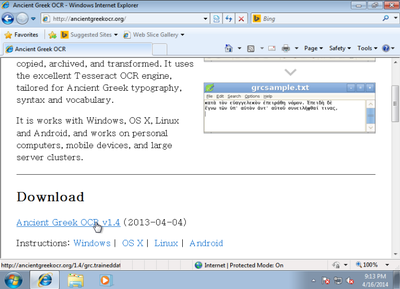 Download the Ancient Greek OCR training from the Download section of the main webpage. 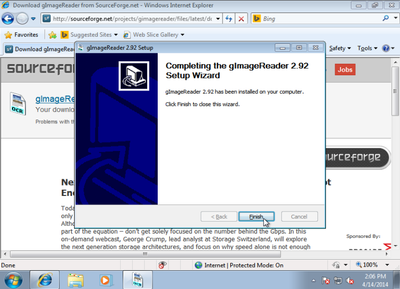 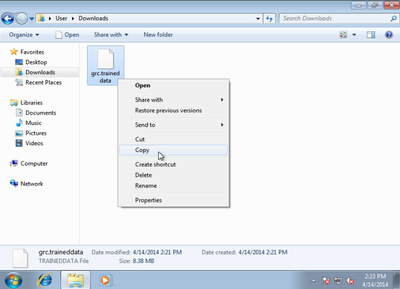 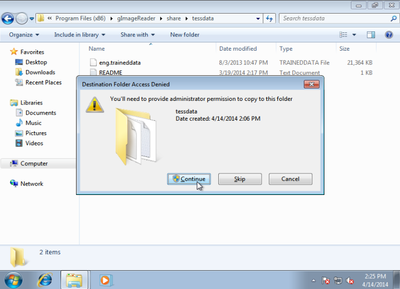 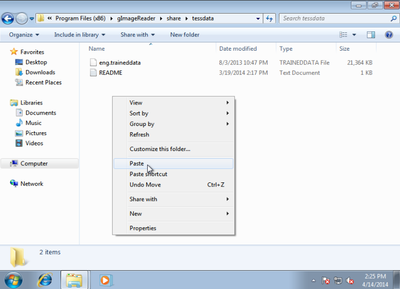 Copy the Ancient Greek OCR training into the share\tessdata folder in the gImageReader installation folder. 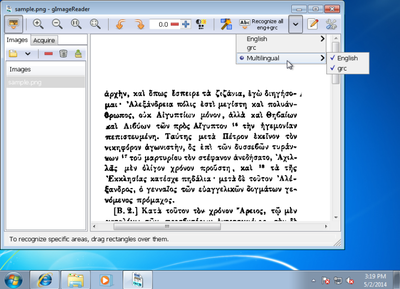 Change the recognition language to 'grc' (Ancient Greek) and click "Recognize all"
To recognise both English and Ancient Greek in the same document, tick both boxes in the "multilingual" section of the language selection button. 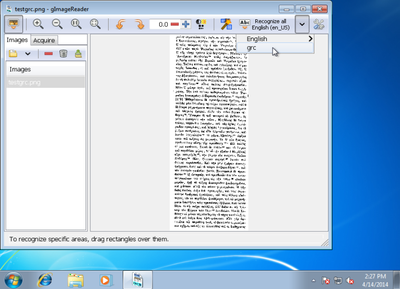 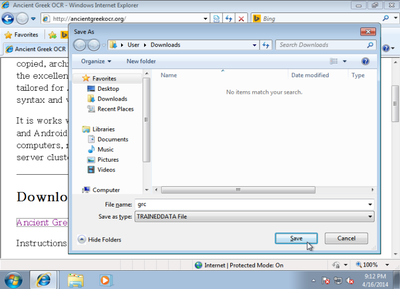 To recognise other languages, download the appropriate "training data" package from the Tesseract download page, unzip it (this requires a program like 7-Zip to be installed), and copy it into the share\tessdata folder, as you did with the Ancient Greek in the final step of the install guide.